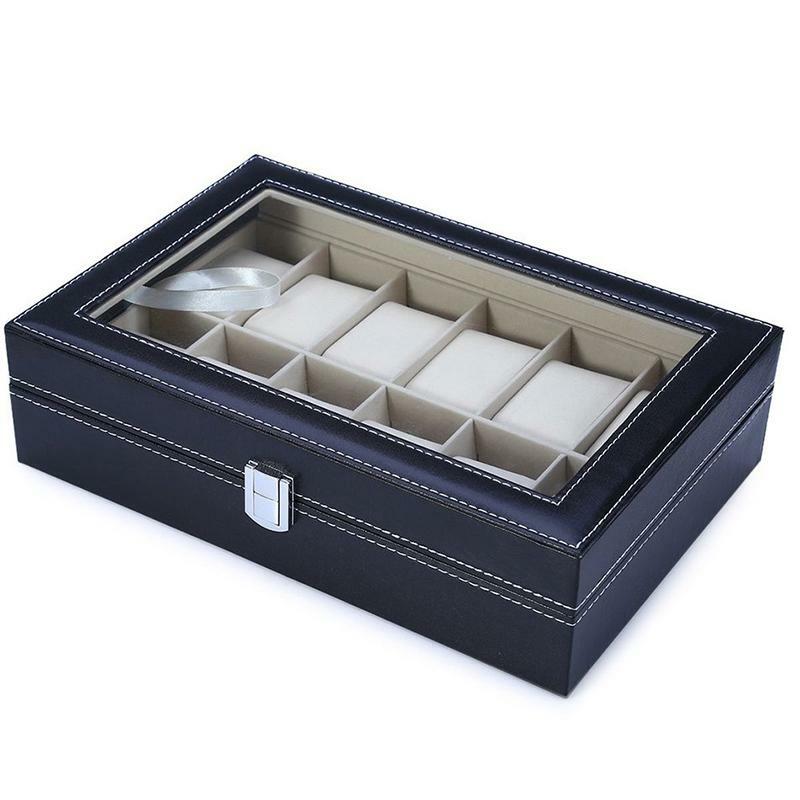 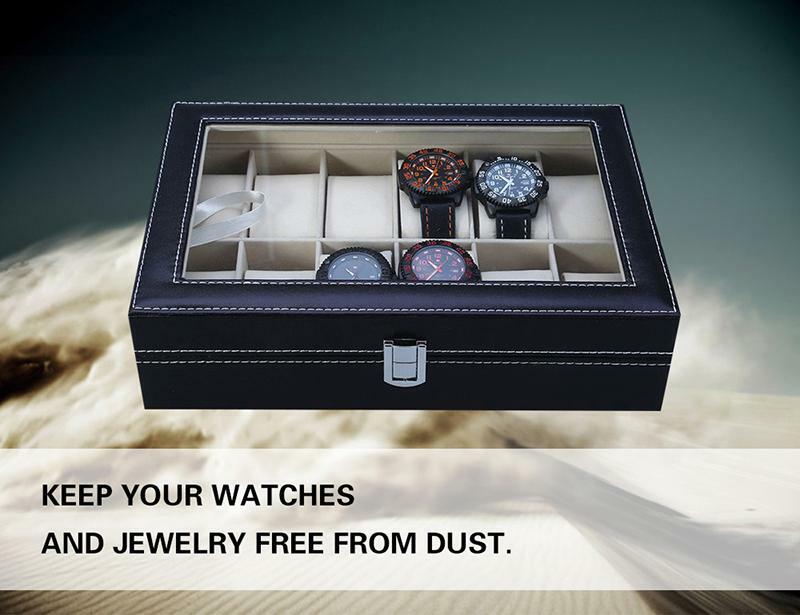 The lid features a clear glass to enable easy viewing of the watches inside,and protect it from dust. 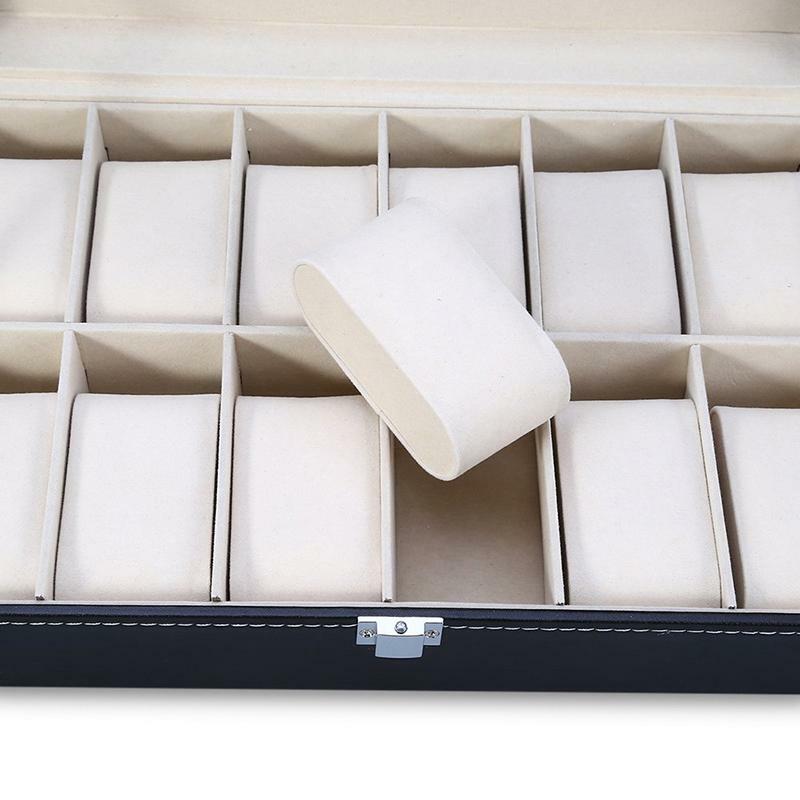 Lined in extra soft faux suede that protect your watches better. 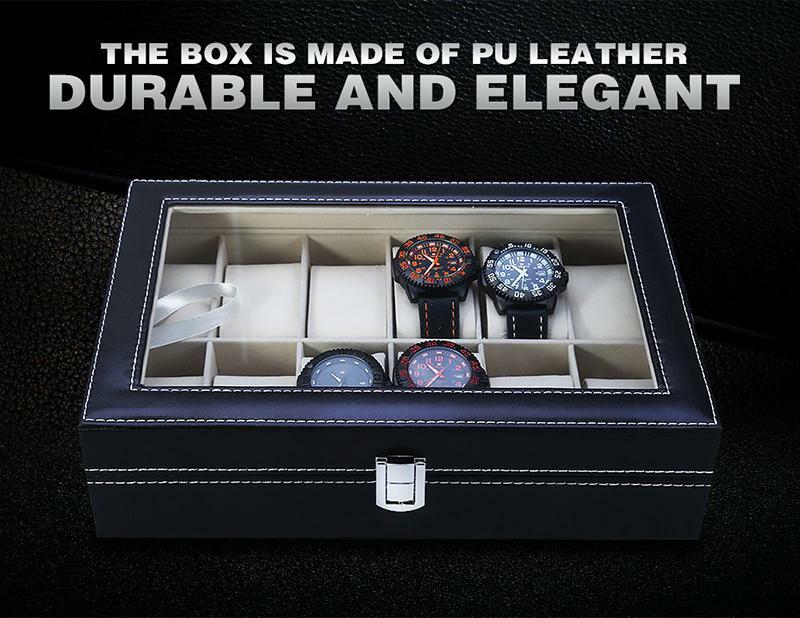 Made of PU leather, durable and elegant. 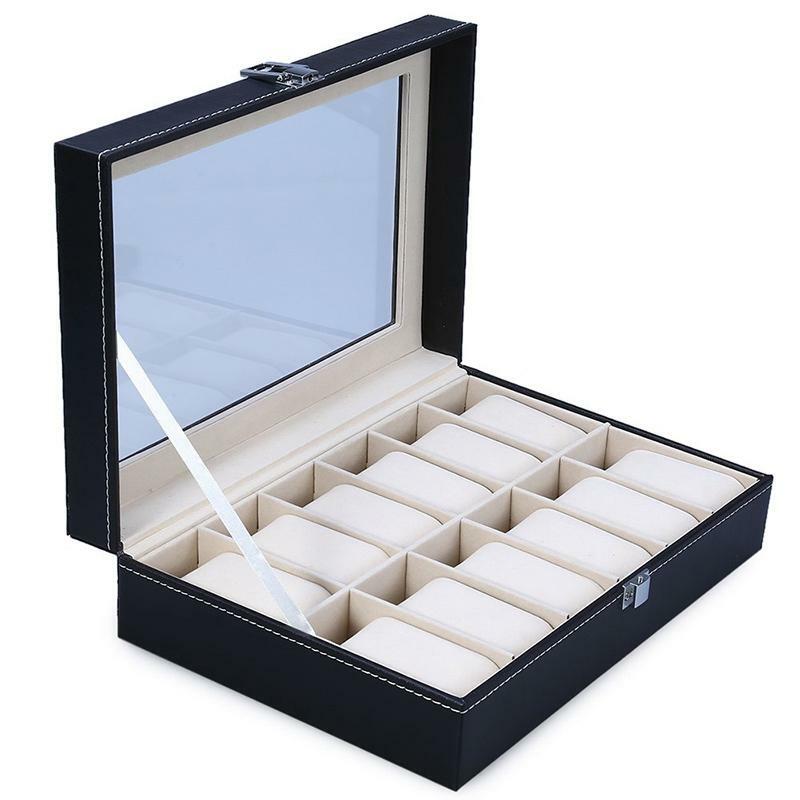 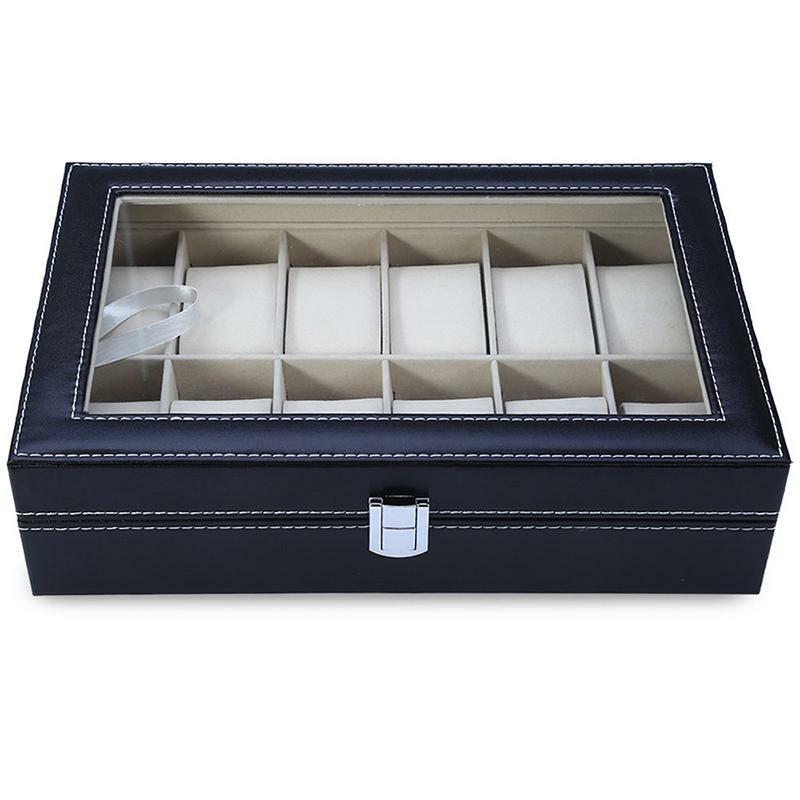 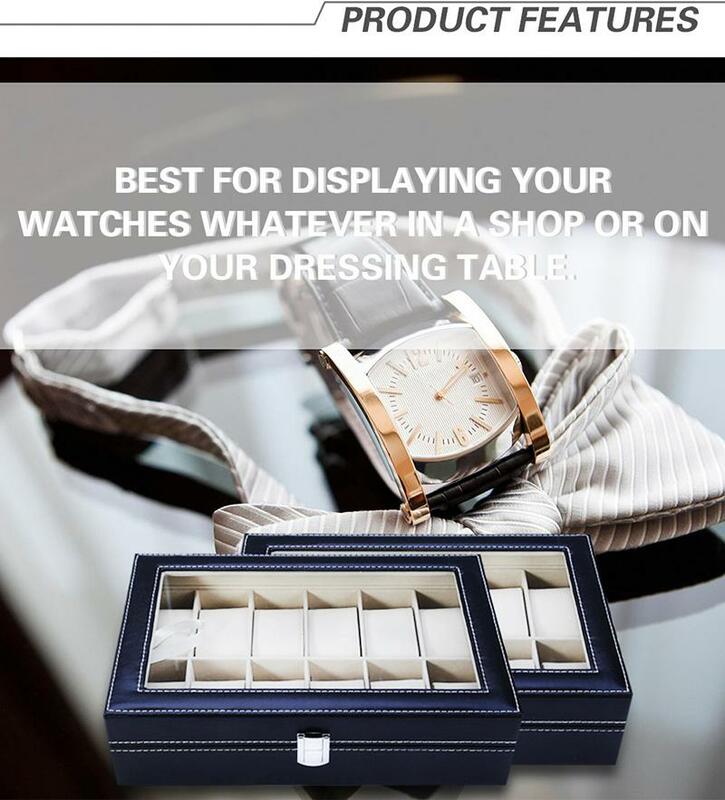 Best for displaying your watches or jewels whatever in a shop or on your dressing table. 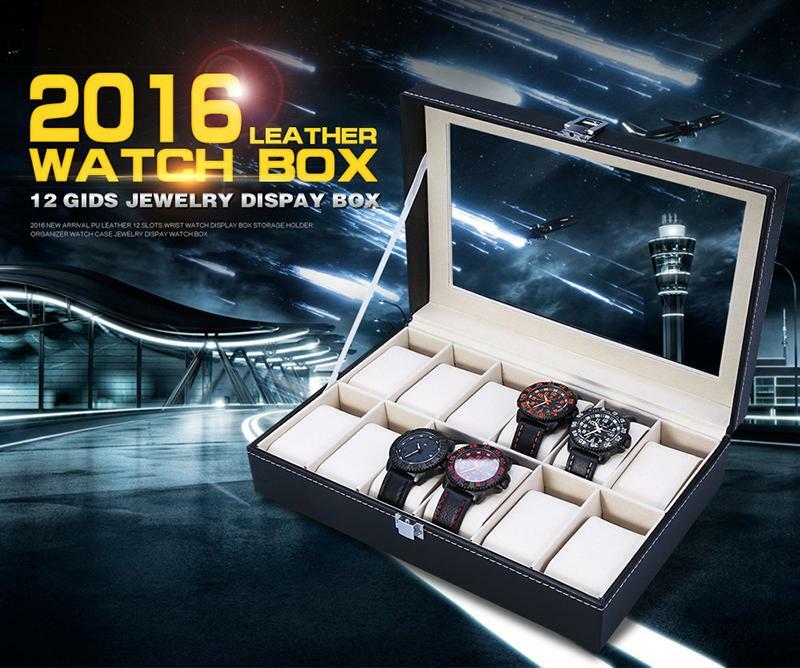 Note: The watches in the box are not indluded! 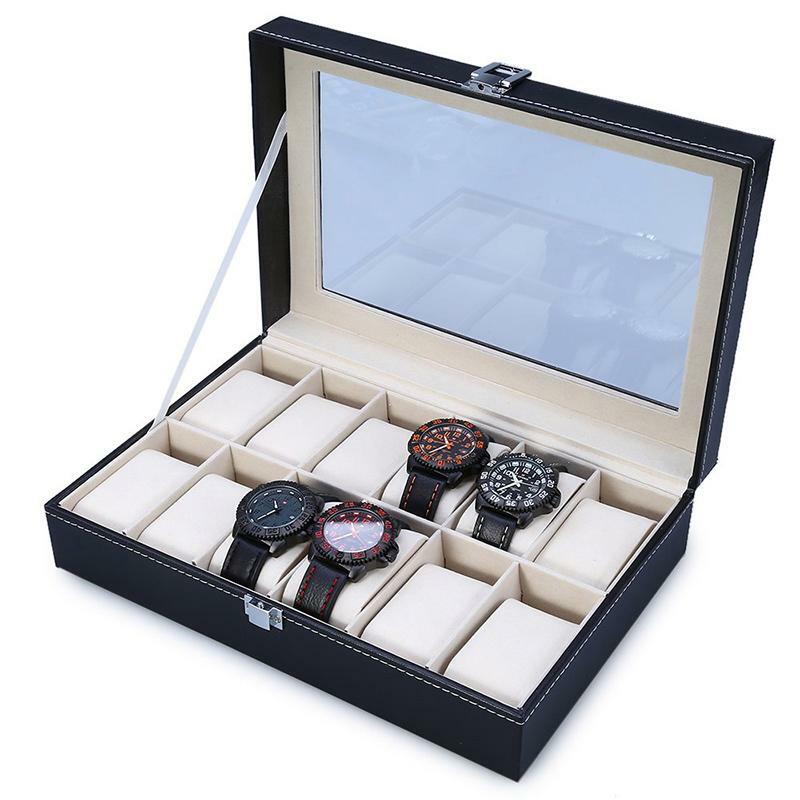 Box Size: 25*20*8cm(L x W x H)/9.84*7.87*3.15inch(L x W x H). 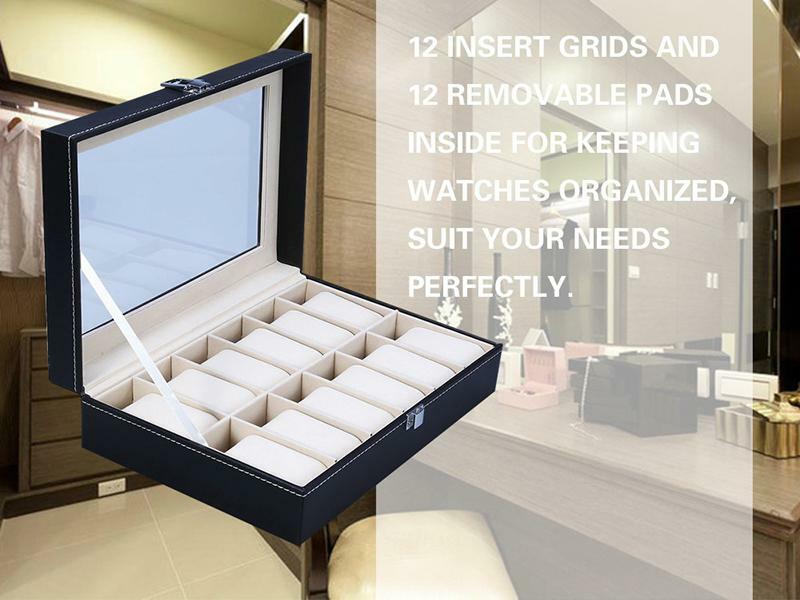 Removable Pillows Size: 8*4.5*3.2cm(L x W x H)/3.15*1.77*1.26inch(L x W x H). 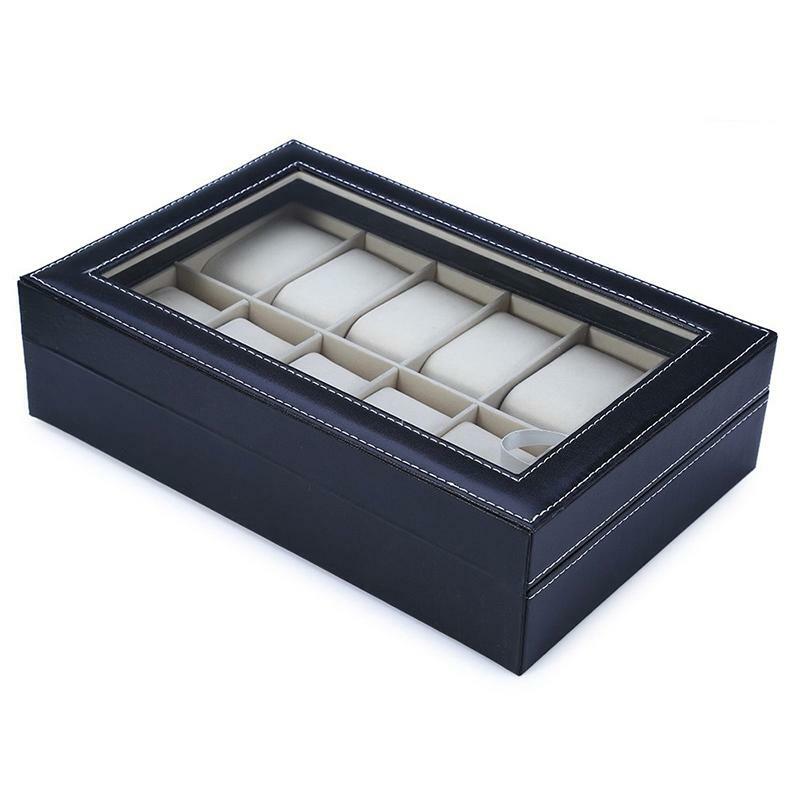 Glass Top Window Size:25*14.9cm(L x W )/9.84*5.87inch(L x W ). 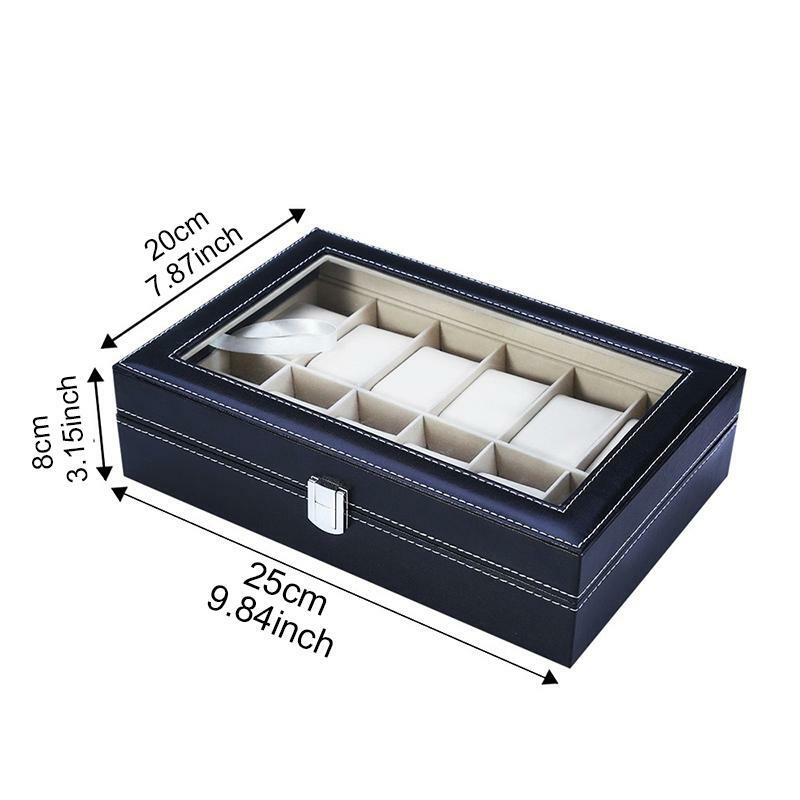 Slots Size: 9.2*4.6*4cm(L x W x Depth)/3.62*1.81*1.58inch(L x W x Depth). 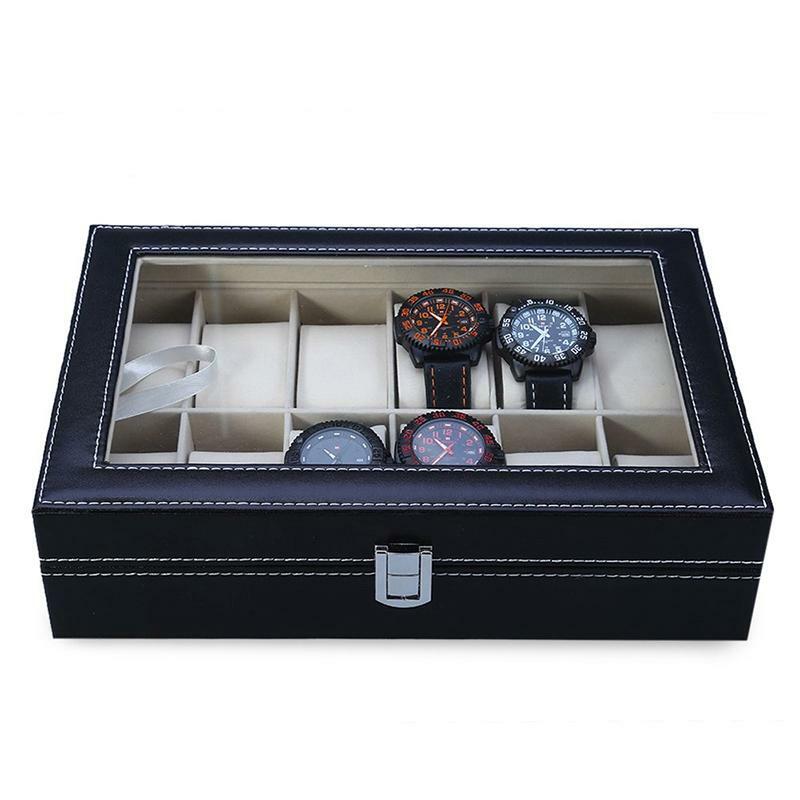 1 x 12 Grid Watch Box. 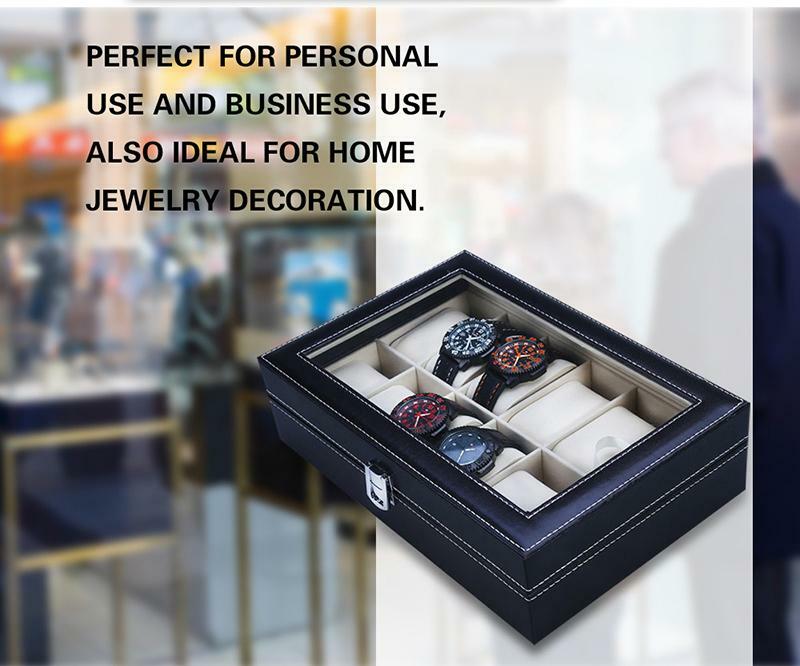 Packed safely with retailed box.